Skincare is the canvas to your makeup, it is such an important step whether you wear makeup everyday or not, your skin has to be looked about. The hard thing is finding the right products for your skin and knowing which works. It is all a trial and error process, I am constantly finding out what my skin loves and loathes. After what seems like forever, I have found products that work but still love trying out new ones and seeing what they are like. Today, I am talking through a few bits that are perfect for oily skin, they work a treat. Makeup wipes aren't something that I use anymore, they don't seem to get my makeup off in the same way that a cleanser does. Instead of using these wipes to take my full face off, I have been using them for different things. One thing I love these for is taking lipstick off, they wipe everything off even the most powerful liquid lip. 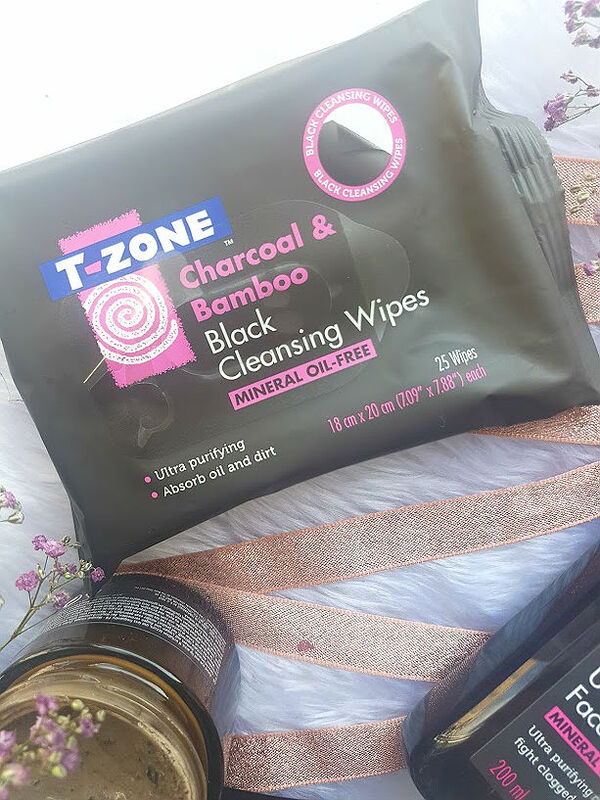 Each wipe is actually black, to go with the whole theme of the range and this makes it even more exciting to use. I have also been loving it for tidying up makeup mistakes when they occur as it takes everything off in a swipe. I packed them with me the other day when we went away to the weekend, and they proved useful for taking off any last traces of makeup when you don't have your entire skincare stash with you. They're only £2.99 at Superdrug! 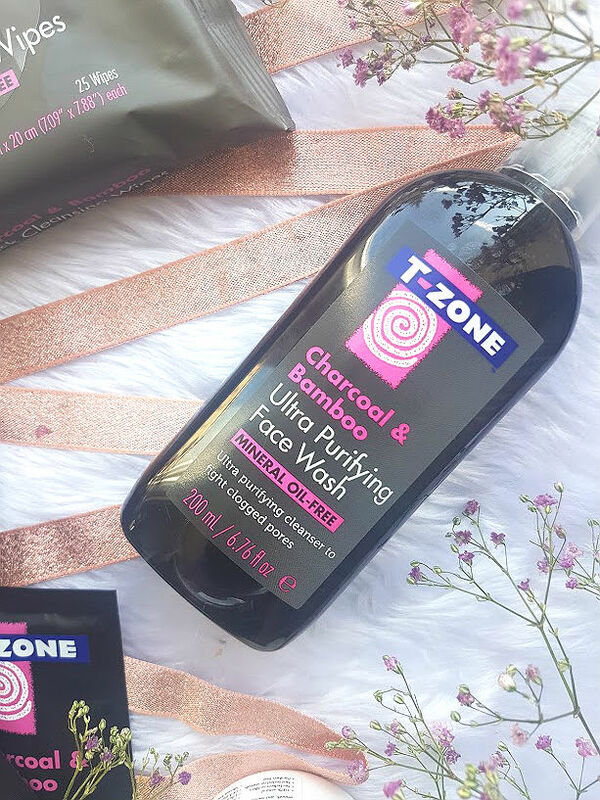 The matching face wash in the range has so many great benefits for the skin, the use of bamboo and charcoal both help to counter any oil that is produced and purify the skin. I love the way this face wash smells, it isn't too pungent - just right. I've been using this in the morning as opposed to night to wash my face and wake me up. It doesn't foam up or lather, it just kinds of creams up into a nice consistency to rub all over the face. Using a face wash such as this on a regular basis that has ingredients in it to help oil production is beneficial over time, the first few uses didn't really do much for me but then as I got into the second week of using it (now third) I noticed that in fact my skin isn't as oily anymore. Available at Superdrug for £3.25. Masks are the best way to combat and fight oily skin, you won't be able to get rid of it forever as its a part of you, but there is a way to calm it down and control it. I love three masks specifically and I am thinking of doing a whole post on my favourite masks because there are so many amazing ones - let me know! The first one that I love using is the Body Shop Himalayan Charcoal Mask (can you sense a ingredient that is great for oily skin?!). This mask is one for when your skin needs a really deep clean of the pore and oily parts. It will dry onto your face like glue and dry everything out. I tend to use this every so often rather than every week as it is very powerful and purges the skin. 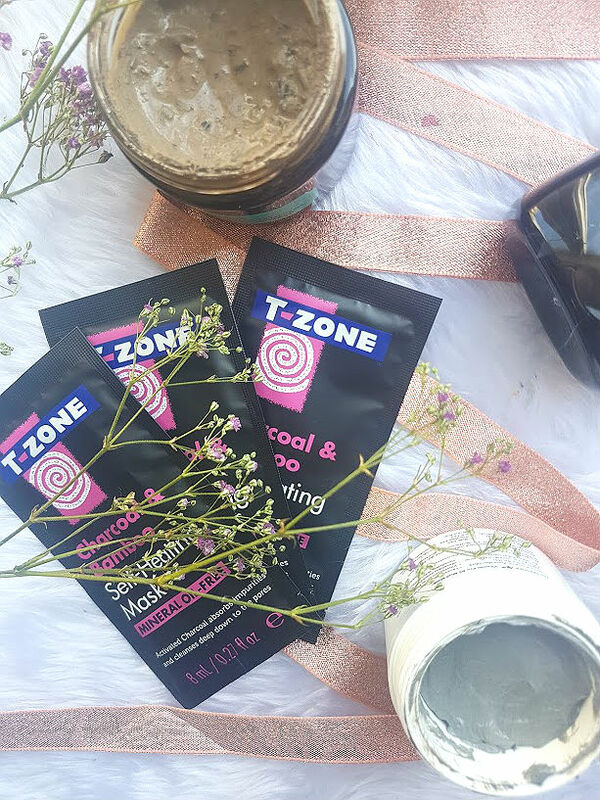 Then we have the T-Zone Self-Heating Masks, from the whole range these have to be my favourite product! You apply this onto freshly cleansed skin and within a few seconds, you will feel the mask heating up. It is quite incredible if you tell me, the chemical reaction that takes place on the face is the best thing for opening up pores. Just the same as a facial steam is. It activates the blood circulation in your face and within 10 minutes, your skin has been opened up. They are also very relaxing, great to do last thing at night or even first thing in the morning! I tend to use this mask every week, to give my pores a clearing out. Using as many masks as I possibly can seems to be my favourite thing to do at the moment, the Fresher Me Mud Mask is perfect and light to use everyday or even once in a blue moon. It is made up of Shea butter, coconut oil, aloe Vera and apricot kernel oil - all of which are amazing ingredients to help your skin oily or not. 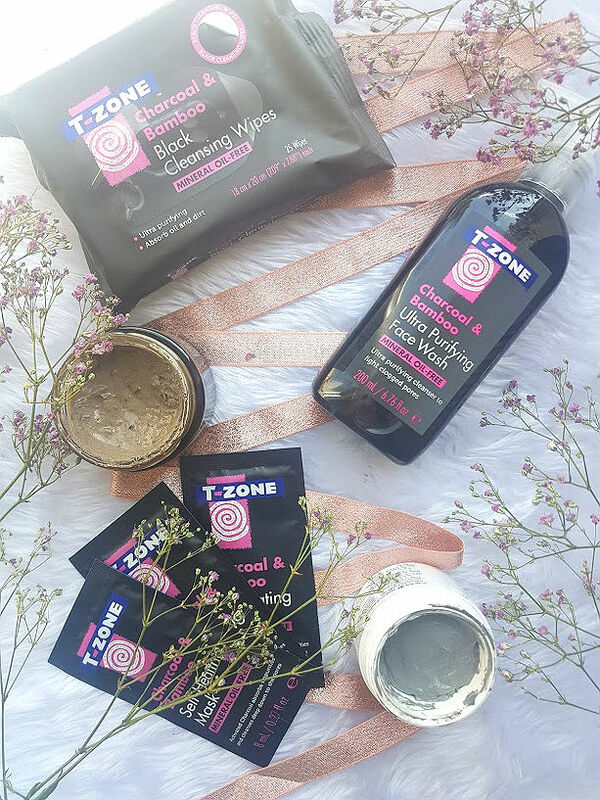 This blemish fighting and hydrating mask works a treat on the skin as it eliminates the bad things whilst still keeping your skin moisturised and happy. What are you favourite skincare must haves?